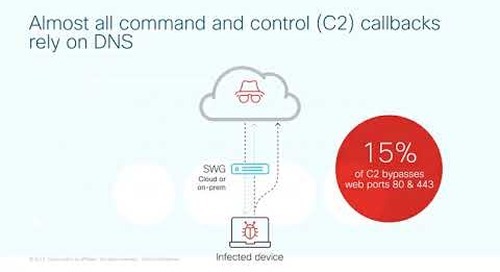 Cisco Umbrella helps you to protect users and their devices wherever they access the internet against malware, phishing, and C2 callbacks. 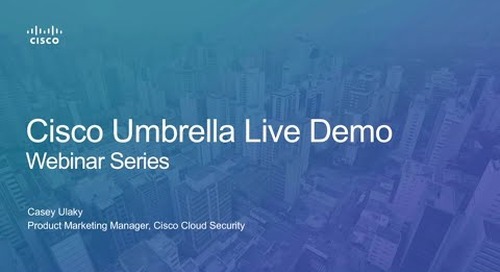 Learn how to complement Umbrella with Cloud Access Security Broker (CASB) capabilities to further secure your users, data and apps - without introducing the complexity of proxy-based solutions. 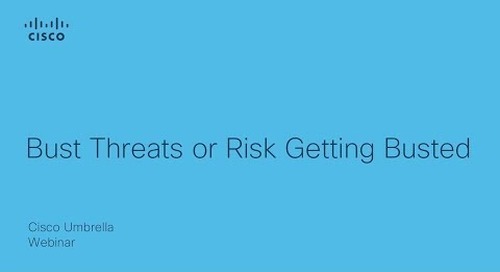 Identify and flag compromised accounts and insider threats by detecting anomalous behavior. 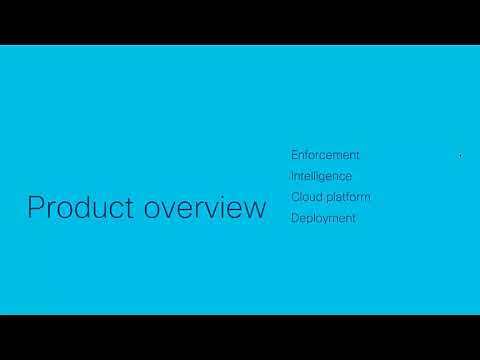 Discover and control malicious cloud apps connected to your corporate environment. 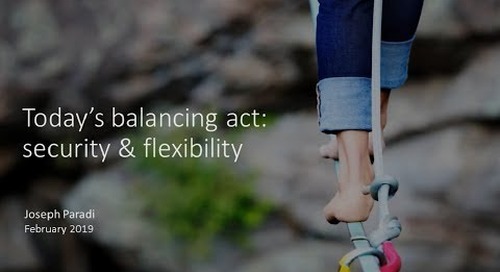 What if you could protect every user on your Meraki network in minutes without deploying an additional appliance? 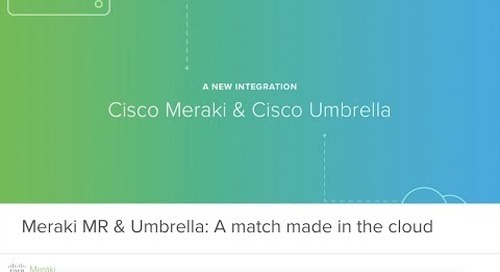 That’s the magic of combining the Meraki MR wireless access points and Cisco Umbrella. 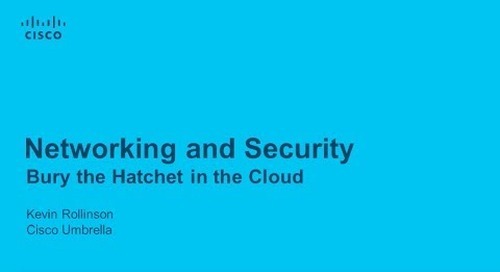 Learn why joining forces with your networking manager may be the best thing for your security team right now. 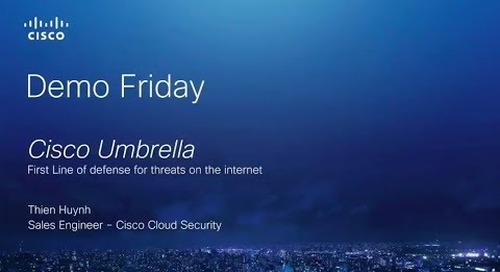 Cisco Umbrella is a cloud security platform that leverages DNS to provide the first line of defense against threats on the internet wherever users go. Learn more. 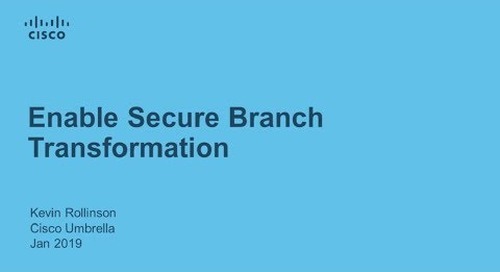 You have been breached, now what? 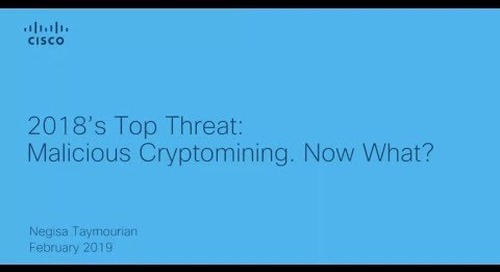 2018’s Top Threat Malicious Cryptomining — Now What? 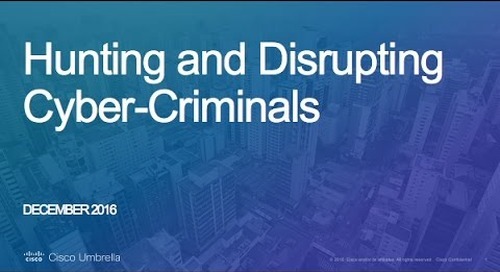 With a 19x increase in crypto-related traffic in the last nine months, there’s never been a better time to find out if computing resources in your organization are being used without your knowledge. 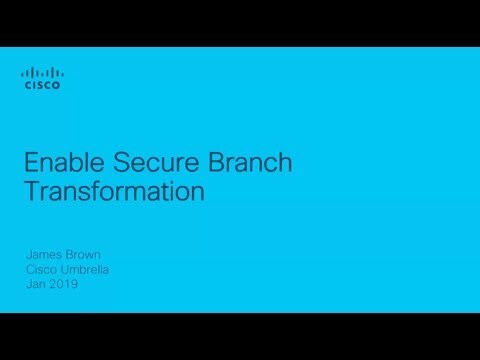 Watch speaker, Joseph Paradi, Sr. Director ITS Infrastructure at Avanade, discuss how a sound cloud security strategy can help defend against security threats, simplify security and support users. 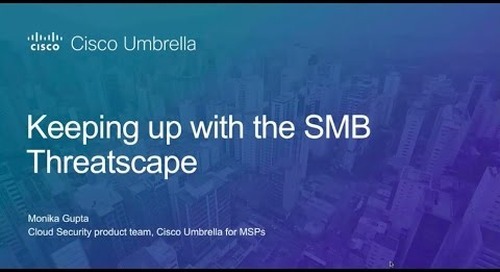 Learn how Cisco Umbrella can give you the boost you need to secure your apps, data, and users whenever they're on the move. 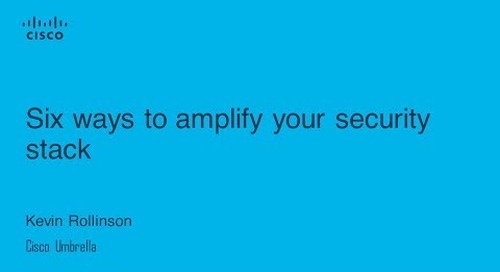 The average company uses more than 50 security vendors. Firewalls. Web proxies. SIEM. Appliances. Third-party intelligence. 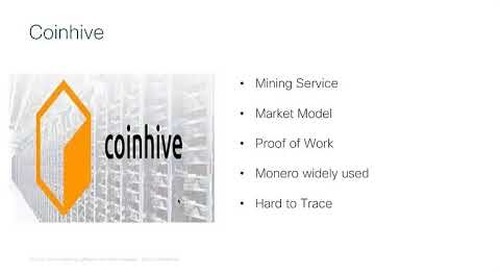 The list goes on, and yet you still finding your stack coming up short. 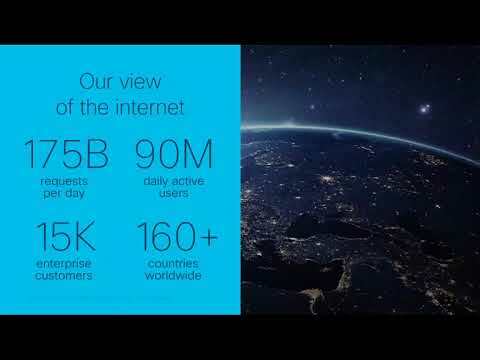 Users are working off-hours, off-network, and off-VPN. 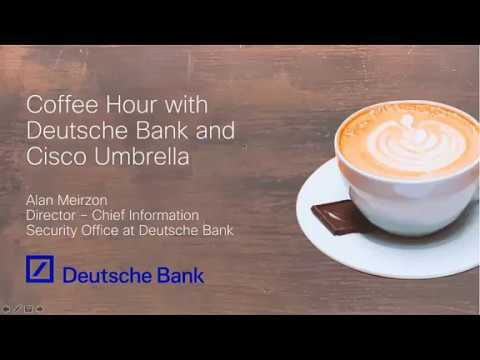 Are you up on all the ways DNS can be used to secure them? If not, maybe it’s time to brush up. 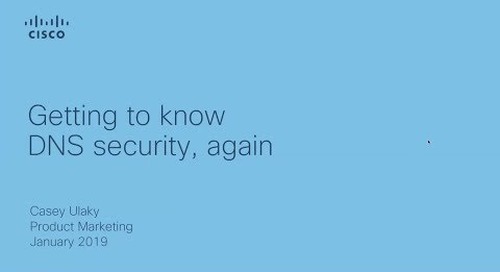 Learn how DNS-layer security can help you. 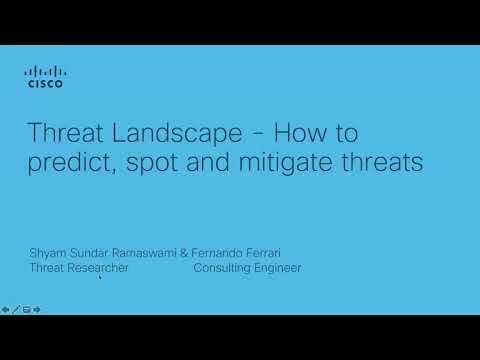 Dieses Webinar legt die Grundlagen der Cisco Umbrella Threat Intelligence dar und beleuchtet die Funktionsweise sowie Deployment-Variationen näher. Mit Demo. 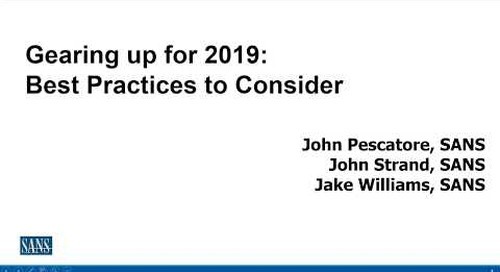 SANS experts discuss best strategies to consider for 2019 to build and maintain your cybersecurity defenses.